Regular readers and listeners know that my email box is packed full of content for the podcast. Each week I could spend the entire episode answering financial questions from current or future high income earners and their partners. This episode I decided to do just that. Some of the questions will only be of interest to a few listeners like selecting a retirement plan for your employees or setting up an irrevocable trust as the beneficiary for an IRA or a 401K. But other questions I am asked so frequently that I know lots of you have these questions like why invest in bonds when you are young and have a long career ahead of you or should I use a target retirement fund or investing in 529 plans across state lines. 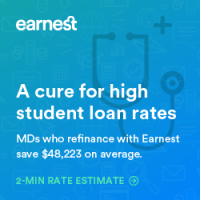 Of course it wouldn’t be a Q&A episode without a few questions about the nemesis of medical students and residents – student loan management. Lastly, I occasionally get questions from parents that want to help their adult children. This parent wants to know my perspective on the value of becoming a doctor today with the high cost of education. Is it worth it? Spoiler -I think medicine is still a good deal! Is Dealing with the Public Service Loan Forgiveness Hassle Worth it? Is Becoming a Doctor Still a Good Investment? 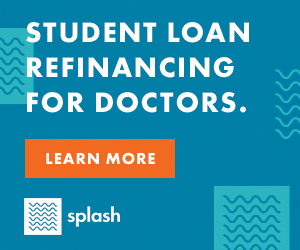 Splash Financial is proud to partner with White Coat Investor to help you save thousands when refinancing your medical school loans. Splash Financial partners with banks and credit unions to negotiate market leading rates on your behalf. Refinancing to Splash Financial will simplify your loans and could lower your monthly payments, helping you achieve your financial goals. 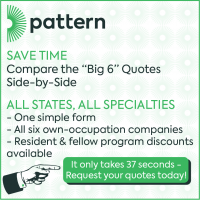 Their fast and easy online application allows you to check your rate in under three minutes and apply with no application, origination, or prepayment fees. Their U.S. based concierge customer service team is available every step of the way via a call or text. 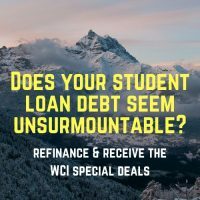 WCI readers and listeners get a $2000 bonus when they successfully refinance loans over $200,000, a $1000 bonus for loans over $100,000, or a $500 bonus for loans over $50,000. Visit Splash Financial to learn more. I think that is so true and important to realize. It can be difficult for those with small practices because offering a retirement plan can be really expensive. 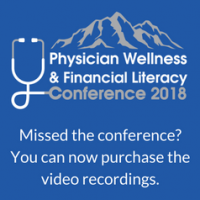 It is worth seeing somebody who specializes in small practice retirement plans and really doing a study on your practice to see what your options are. But it may be at the end of that study you decide not to offer one at all because the employees just don’t desire it and you are not getting that much tax savings anyway if you include the amount you’ve got to pay toward the match and toward the other expenses of running the plan. A simple IRA is very easy to do. You’re only allowed to contribute about twelve thousand a year to it and you have to leave the money there for a couple of years before you can roll it over. It will exclude you from doing a backdoor Roth IRA because it is included in the pro-rata calculation on Form 8606 where you report that to the IRS. So it is not unreasonable to just do taxable investing for retirement. You can probably still do a backdoor Roth IRAs. And in fact if you don’t have any retirement plan at work you can actually deduct a traditional IRA contribution. That is an option as well. You could choose to do that instead of a backdoor Roth IRA if you want, but if you’re like most doctors, most of your savings in that sort of a situation are going to go into an after tax account which is perfectly fine. So how do you do that? Well you want to invest tax efficiently and so that means you mostly want to use investments like municipal bonds where you don’t have to pay tax on the interest, at least not at the federal level. And if municipal bonds are from your state, not at the state level either. You can also use things like total stock market index funds and total international stock market index funds. These are very tax efficient asset classes and very tax efficient investments within those asset classes. Of course you want to learn all the little tricks like tax loss harvesting so that Uncle Sam shares your losses and donating appreciated shares to charity instead of donating cash. All of those things can help you invest a little bit more tax efficiently in your taxable account. There are a lot of great articles on the WCI blog about how to invest tax efficiently. It has to be a valid trust under state law. It has to be irrevocable or become irrevocable upon the death of the original IRA owner. The trust beneficiaries must be eligible to be beneficiaries themselves. So you can’t name something that wouldn’t be eligible to be a beneficiary. You have to provide a copy of the trust documentation to the IRA custodian by October 31st of the year following the year of the IRA owner’s death. Kitces articles, called Qualifying a See Through Trust as an IRA Designated Beneficiary Conduit or Accumulation goes into all kinds of details. I highly recommended reading it if you’re considering doing this. Honestly though, it sounds like a big hassle. It may be better to just leave the beneficiary as your heirs themselves. You need to have a really good reason to try to insert a trust in here because it’s going to cost you some money. And in fact it may cost them some money. The reason why is, if it is taxable to the trust the trust tax rates apply, not the heirs tax rates, and trust tax rates are pretty much the top tax rate, after just a few thousand dollars each year. You really don’t want anything taxed at a trust’s tax rate. Realize that if you might want to do this for some complicated estate planning reason, it’s probably going to cost you some money in taxes to do it. Maybe he can tolerate it, maybe he can’t. How do you have any idea if you have never invested in a bear market?! 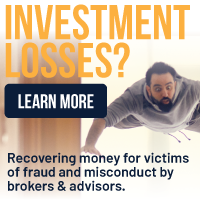 You’ve never invested and lost a substantial sum of money that used to be yours. Investing is not always an intellectual experience like you think it is when you read your first investment book, before you start hemorrhaging money in a bear market. But when you’ve lost a year’s contribution to your retirement accounts or two years contribution, money that you could have used for a kitchen renovation, money that you could have used for a new Tesla, you start thinking, “wow why did I put that in there when I could have enjoyed it?” You see losing money is not always an intellectual experience it can often be a very visceral, emotional experience and bonds help you endure through that. So I would caution anybody who thinks that 100 percent stocks is right for you to wait until you’ve been through a bear market to find out. One will be along shortly, it won’t take that long. They happen every now and then. You know on average they happen a couple of times a decade. And so you shouldn’t have to wait very many years. You won’t lose that much money by not being 100% stocks between now and your first bear market and then you can know how you really react to losing money. I remember in 2008 I was about 75 percent stock and 25 percent bond. And by the time that whole thing was over that felt about right to me. You know to be quite honest despite everything I read, despite all the time I’d spent studying financial markets, I’m not sure if I could have tolerated 100 percent stock portfolio during that bear market. I didn’t have to find out. But in a lot of ways deciding how much or what your stock to bond ratio should be is a little bit like the Price is Right. You want to get as close to the price as you can without going over because the effect of having a little bit too little stock in there isn’t that big a deal. But having a little too much is huge, that’s a financial catastrophe, especially if you bail out of stocks at mid career, in the middle of a bear market. So the first reason to own bonds is just to help you tolerate the losses and the volatility in the stock market. Don’t underestimate the importance of that. Benjamin Graham said, “never hold more than 75 percent stocks or less than 25 percent stocks.” I think there’s a lot of wisdom there. Obviously some people disagree but I hope most of those have actually had some personal experience in a bear market. The second reason to own bonds is that it is entirely possible that stocks do not outperform bonds over a very long period of time. Now that period of time hasn’t been longer than 20 years but 20 years is a long time. I mean look at me in 2018. I got out of residency in 2006, it’s only been 12 years. There have been plenty of periods of time where bonds have outperformed stocks over 12 years. And so you need to realize that the long term for stocks might be a very long time, might be longer than you have, might be most of your career. And so realize that there is a reason that most investing experts recommend you hold some bonds. You can always ditch them later. If you get into your first bear market and say, “this is easy. This is no big deal.” Then sure ramp up the risk. In fact will be a great opportunity for you to buy low. The first reason to own bonds is just to help you tolerate the losses and the volatility in the stock market. Don’t underestimate the importance of that. The main problem with target retirement funds is they often aren’t available in all of your retirement accounts you want to invest in. It is like a one stop shop. It is great if your Roth IRA and 401K are your only retirement accounts and a target retirement fund is available in there. If you just don’t want to make things complicated it works fine. I’m not against them but it just doesn’t work for very many doctors for very long. Maybe for a few years in the beginning of your career. It is pretty good for residents who just have one account. But beyond that it’s just not practical for most of us who are managing five or six different investing accounts. I don’t know if it is worth 10 basis points or not to build your own. It really depends on how much you’re into investing. The truth of the matter is if you’re asking a question like this you probably don’t belong in a target retirement fund. Those are really for people who want to avoid getting to the nitty gritty of investing and just put it on a set it and forget it kind of investment. I wrote a blog post called Seven Reasons I Don’t Use Target Retirement Funds and I think that’s worth perusing for anyone considering this question. This is the most complicated situation you can get as far as deciding what to do with your student loans. For the vast majority of us it’s very straightforward. You do repay for your direct loans, you refinance your private loans, and then you decide whether you’re going for Public Service Loan Forgiveness as you leave residency. But when you have two earners and one or both are thinking about going for Public Service Loan Forgiveness it can get pretty complicated. Here is the principle to consider. With public service loan forgiveness the goal is to pay as little as possible during your training years because everything you don’t pay is money that can be forgiven down the road through public service loan forgiveness. The goal is to get your payments as low as possible. There are two main ways to do that. The second thing you can do is to file taxes married filing separately. That lowers your income once more. Now if two residents are married and have the exact same amount of student loans it is probably fine to file jointly to be quite honest because you are adding everything together. But if only one of you has loans and is going for public service loan forgiveness and the other one is a high income earner then you will have less forgiven because your required payments during your training are going to be so high. There is a lot that goes into this and anyone wrestling with these kinds of issues really ought to get professional advice on it. What I generally recommend is that you go to my list of recommended student loan advisers. These are people who specialize in telling you what to do with your student loans. I don’t know how the Idaho tax break works but it is probably per child. You probably can take a certain deduction or credit per child. So that second plan is a bad one. If you put all of one kids money in Idaho and the other kids in Utah or Nevada you’re going to end up with only getting a smaller deduction than you should have got. Lots of people use their home state up to the amount that they get the deduction then they put the rest in a plan in a better state like California, New York, Utah, Nevada, or Ohio or others with rock bottom costs and good investments like Vanguard index funds. I agree. You should factor it into your decision tree.But here is the deal, they are offering to forgive hundreds of thousands of dollars for some of you. Is there going to be some hassle involved? Yes. Is this a new program? Yes. Is Fed loans a nightmare to deal with? Absolutely. Are you going to get better service from private lenders that are refinancing your loans? Yes, you’re going to get way better service from them than you are from Fed Loans. It is always an option if you don’t think you’re going to get public service loan forgiveness, to refinancing loans and pay them off. In fact if you’re doing as I advise, to keep a side fund that is the equivalent of paying off those loans in two to five years, that is always an option if you get sick of dealing with Fed Loans. But I think when somebody is offering that much money it is reasonable to try to see it through and see what happens. Keep track of every single payment you send in. Keep the best written records you have. Fill out your certification form and send it in every year. And make sure you keep a copy of it and keep pounding on their door. These guys are going to figure it out. It’s brand new in the last year. The first people it could ever receive this was in 2017, about a year ago. And to be quite honest for the first four or five years that this program was around no one knew the rules. They hadn’t even published the rules. It is not a big surprise that they’re still screwing around with it and still trying to figure out what’s going on. But it’s up to you if you have that side fund. You can always refinance and pay them off if you just don’t believe it’s going to happen. But I think if I were in that situation with a three year residency and a three year fellowship and I owed four hundred thousand dollars. I think I’d keep working toward public service loan forgiveness. I think medicine is still a good deal and I’m comparing that to some things that I don’t think are a very good deal like veterinary school. It’s not a good deal. I’m sorry it costs too much for what vets get paid. Same thing with law right now. You’re not even sure you’re going to have a job. You rack up a hundred fifty thousand, two hundred thousand dollars in debt and maybe you can’t even get a job and if you do it probably pays $50000. That’s not a good bet. You know you’ve really taken a chance when you go to school and borrow to pay for it for programs like that. But medicine, the average doc with the average medical school debt burden is still fine. Yes she has to live like a resident for a couple of years after residency in order to pay that off but it’s totally doable with the appropriate financial planning. Now some docs that are at the lower end of the income spectrum and the higher end of the debt spectrum are going to be in trouble. As you don’t end up at the wrong end there income and debt wise I think you’re still OK going to medical school. But if a good paying job is your main motivation of medicine there is a lot better ways to make a lot of money with a lot less effort. As far as paying for school, if no one else is paying the tuition bill, there are really just two options. The military and borrowing the money. My recommendation is always go into the military because you want to be a military doc. I knew a lot of docs who did it for the money in the military and they weren’t happy so please don’t join the military unless you want to be a military doc. Most medical student borrow the money and most coming out doing just fine with that. This is the classic invest versus pay down debt question just applied to a mortgage. Personally when I look at a debt like a mortgage I think, “how long do I want to have this debt?” And I don’t take out a loan longer than that period of time. In my case I didn’t want to have a mortgage debt for longer than 15 years so we took out a 15 year mortgage. There are some advantages to that. One it forces you to save, to pay off the debt sooner. And two you get a lot better interest rate. And so we enjoyed a very low interest rate for the seven years until we paid off that mortgage. Who really wants to owe money to anybody for 30 years for anything? Three decades of your life?? That might be almost half your life. I just don’t think that is a great idea and if you don’t have to do it than don’t do it. That said if you run the math out, borrowing money at low interest rates and investing it in good investments for the long term you will probably come out ahead. The problem is most of us don’t invest it, we just spend it. So we end up with a 30 year mortgage and without the investments. Behaviorally it is pretty difficult to do that. 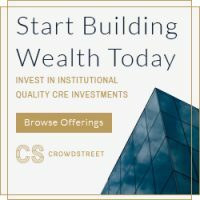 [00:00:20] Welcome to White coat investor podcast number 80, answering listener questions. 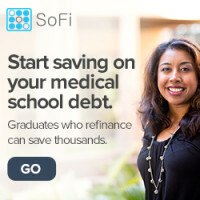 Splash Financial is proud to partner with white coat investor to help you save thousands when refinancing your medical school loans. Splash financial partners with banks and credit unions to negotiate market leading rates on your behalf. Refinancing to Splash Financial will simplify your loans and could lower your monthly payments. 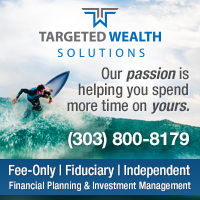 Helping you achieve your financial goals. Our fast and easy online application allows you to check your rate in under three minutes and apply with no application, origination, or prepayment fees. Our U.S. based concierge customer service team is available every step of the way via a call or text. WCI readers and listeners get a 2000 dollar bonus when they successfully refinance loans over 200000 dollars, a one thousand dollar bonus for loans over 100000, or a 500 dollar bonus for loans over 50000. 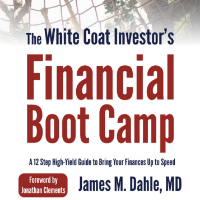 Go to White coat investor dot com slash splash financial to learn more. [00:01:15] Thanks for what you do. I might be the only one who tells you that this week so I wanted to make sure I got it out right up front in the podcast. I know a lot of you appreciate that because you’ve got difficult jobs. [00:01:25] Our quote of the day today comes once again from Morgan Housel who said wealth in fact is what you don’t see. It’s the cars not purchased, the diamonds not bought, the renovations postponed, the clothes foregone and the first class upgrade declined, its assets in the bank that haven’t yet been converted into the stuff you see. And I think that is so true and important to realize that. 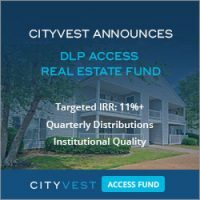 [00:01:49] Make sure you’ve checked out the resources available to you at the White Coat investor. I just wanted to highlight one of those today which is our recommended insurance agent page. 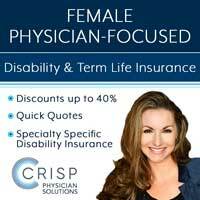 We have a page there where I have vetted insurance agents for your term life insurance and disability insurance needs that you can trust and you can get a good advice from. And good option and get those critical insurances in place as early in your career as possible. [00:02:15] Be sure also that you record questions for the podcast. That can be done at speak pipe dot com slash white coat investor. We’ve got two of those questions incorporated into the podcast today. I’d love to get even more because it’s going to be fun to have your voices on the podcast here with me. [00:02:32] All right let’s take first a question from my e-mail. I’ve been listening to your podcast for a while now and I wanted to first thank you for what you do. That is very nice. You asked for listeners to send you questions so here’s mine. I’m a dentist owning a dental practice. 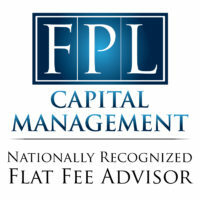 All student loans mortgage loans and practice loans are fully paid. Congratulations. I’m 35 years old and married. That’s awesome to have all that done by 35. My wife is currently working part time but plan on leaving soon to spend more time with the baby. Sounds like you can probably afford that. Now that we’ve paid all our loans and our rainy day fund is full we would like to start investing. I think that’s great. 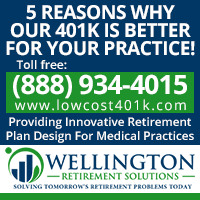 I’ve looked into offering a 401 K from my five employees and myself but based on my employee portfolio the plan would be extremely expensive to make it worthwhile. The alternative would be to offer a simple IRA but then I won’t be able to do a Roth IRA anymore. That’s correct. Plus it would only allow me to defer twelve point five thousand dollars for me and twelve point five thousand for my wife. My employees are OK with their current benefits so I’m thinking about just sticking to aftertax investments. What do you think? Also on your last podcast you spoke about municipal bonds tax advantages for after tax invest. Where can I learn more about the best strategies for aftertax investing? [00:03:42] Well this is a difficult thing for those with small practices because sometimes it turns out you want a retirement plan but it’s going to cost you so much to offer it because you have employees that it just isn’t worth it. 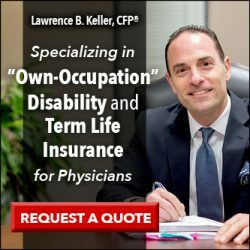 So it’s worth seeing somebody who specializes in small practice retirement plans and really doing a study on your practice to see what your options are. But it may be at the end of that study you decide not to offer one at all because the employees just don’t appreciate it and you’re not getting that much tax savings anyway. If you include the amount you’ve got to pay toward the match and toward the other expenses of running the plan. And so a simple IRA is very easy to do. You’re only allowed to contribute about twelve thousand a year to it and you have to leave the money there for a couple of years before you can roll it over. It also excludes you from doing a backdoor Roth IRA because it’s included in the pro-rata calculation on Form 86 06 where you report that to the IRS. And so it’s not unreasonable to just do a taxable investing. Now you can probably still do a backdoor Roth IRAs that gives you something. And in fact if you don’t have any retirement plan at work you can actually deduct a traditional IRA contribution. That’s an option as well. So you could choose to do that instead of a backdoor Roth IRA if you want but if you’re like most doctors most of your savings in that sort of a situation are going to go into an after tax account which is perfectly fine. [00:05:08] So how do you do that? Well you want to invest tax efficiently and so that means you mostly want to use investments like municipal bonds. Where you don’t have to pay tax on the interest at least not at the federal level. And if municipal bonds are from your state not at the state level either. You can also use things like total stock market index funds and Total International Stock Market Index funds. These are very tax efficient asset classes and very tax efficient investments within those asset classes. Of course you want to learn all the little tricks like tax loss harvesting so that Uncle Sam shares your losses and donated appreciated shares to charity instead of donating cash. All of those things can help you invest a little bit more tax efficiently in your taxable account. There are a lot of great articles on the white coat investor blogged about how to invest tax efficiently. So I suggest you search that term there and they’ll pop right up. Just search taxable account. There’s two or three great articles there that can teach you a little bit more about investing and after tax accounts. [00:06:11] We now have our first question from our speak pipe. So I’m looking forward to this. Let’s go ahead and play that now. [00:06:21] Hello Dr. Dahle. I would be interested in having you talk on your podcast about using irrevocable trust as the beneficiary for an IRA or a 401K. I know there are issues with losing some of the tax benefits unless the trust is set up correctly but I don’t really know what to ask for or look for when I go and get a trust set up. So wondering if you could talk about what some of the pros and cons are to doing that. In other words in using a trust as a beneficiary. And maybe what I should look for when I haven’t done. [00:07:10] So basically this question is all about putting revocable trust as your beneficiary in a retirement account. Right. So if you know you die and this is stretched through you know it then pays out to the trust or even it could pay out. Yeah. In the event of your death. The problem is you can’t actually do that with a revocable trust. [00:07:37] Remember the difference between a vocable trust and an irrevocable trust. A revocable trust is for estate planning it doesn’t provide any asset protection and an irrevocable trust is primarily for asset protection because it basically takes those assets out of your estate. And it turns out, although it’s complicated, you can name a trust as the beneficiary of your IRA. But it can’t be a revocable trust. It has to be an irrevocable trust. So the easy answer to this question is you just can’t do it. But if you’re willing to have it be an irrevocable trust you can do it. Michael Kitchings has a nice summary of some of the reasons why you might want to do this and some of the reasons and complications of doing it. But there’s a few things that you have to some boxes you have to check if you want to name a trust as a beneficiary of a retirement account. [00:08:29] First it has to be a valid trust under state law. It has to be your irrevocable or become irrevocable upon the death of the original IRA owner and the trust beneficiaries must be eligible to be beneficiaries themselves so you can’t name something that wouldn’t be eligible to be a beneficiary. And then of course you have to provide a copy of the trust documentation to the IRA custodian by October 30 first of the year following the year of the IRA owner’s death. OK so there’s a number of hoops to drop through. This article, Kitchings calls Qualifying a See Through Trust as an IRA Designated Beneficiary Conduit or Accumulation goes into all kinds of detail a highly recommended if you’re considering doing this. Honestly though it sounds like a big hassle. I mean it may be better to just leave the beneficiary as your heirs themselves you need to have a really good reason to try to insert a trust in here because it’s going to cost you some money. And in fact it may cost them some money. The reason why is if it is taxable to the trust the trust tax rates apply, not the heirs tax rates, and trust tax rates are pretty much the top tax rate, after just a few thousand dollars each year and so you really don’t want anything taxed at a trusts tax rate. And so realize that if you might want to do this for some complicated estate planning reason it’s probably going to cost you some money in taxes to do it. [00:09:54] Next question comes from email. It’s actually there are two questions here both from the same listener. The first is why Bonds? I get this all the time specifically for a 30 something M.D like me only a year out of training. 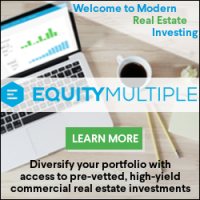 Why should I put any of my 401k and other investment money into bonds as opposed investing only in equities and a smaller amount in Real estate? I understand bonds at much lower risk and every book I’ve read recommends a minimum of 10 percent of bonds for anyone, might be a reason for that. But since I don’t plan on touching any of these funds until retirement it can be reasonable to invest no money in bonds for now and then add that to my portfolio maybe 10 years in the future. While this would be a relatively aggressive investment strategy it seems that I could tolerate any changes in the total stock market over the next 10 years before I made my portfolio more conservative by adding bonds. [00:10:40] Maybe you can tolerate it, maybe you can’t. How do you have any idea? You have never invested in a bear market. You’ve never invested and lost a substantial sum of money that used to be yours. Investing is not always an intellectual experience like you think it is when you read your first investment book before you start hemorrhaging money in a bear market. [00:10:58] But when you’ve lost a year’s contribution to your retirement accounts or two years contribution, money that you could have used for a kitchen renovation, money that you could have used for a new Tesla, you start thinking wow why did I put that in there when I could have enjoyed it? You see losing money is not always an intellectual experience it can often be a very visceral emotional experience and bonds help you endure through that. So I would caution anybody who thinks that 100 percent stocks is right for you to wait until you’ve been through a bear market to find out. One will be along shortly it won’t take that long. They happen every now and then. You know on average they happen a couple of times a decade. And so you shouldn’t have to wait very many years you won’t lose that much money by not being 100% stocks between now and your first bear market and then you can know how you really react to losing money. [00:11:46] And I remember in 2008 I was about 75 percent stock and 25 percent bond. And by the time that whole thing was over that felt about right to me. You know to be quite honest despite everything I read, despite all the time I’d spent study in financial markets so on and so forth. I’m not sure if I could have tolerated 100 percent stock portfolio during that bear market. I didn’t have to find out. But in a lot of ways deciding how much or what your stock to bond ratio should be is a little bit like the price is right. You want to get as close to the price as you can without going over because the effect of having a little bit too little stock in there isn’t that big a deal. But having a little too much is huge, that’s a financial catastrophe, especially if you bail out of stocks at mid career later, in the middle of a bear market. So the first reason to own bonds is just to help you tolerate the losses and the volatility in the stock market. And don’t underestimate the importance of that. Benjamin Graham said never hold more than 75 percent stocks or less than 25 percent stocks. I think there’s a lot of wisdom there. Obviously some people disagree but I hope most of those have actually had some personal experience in a bear market. [00:12:55] The second reason to own bonds is entirely possible that stocks do not outperform bonds over a very long period of time. Now it doesn’t happen that that period of time has been longer than 20 years but 20 years is a long time. I mean look at me right is 2018. I got out of residency in 2006 it’s only been 12 years. There have been plenty of periods of time where bonds have outperformed stocks over 12 years. And so you need to realize that the long term for stocks might be a very long time, might be longer than you have, might be most of your career. And so realize that there’s a reason that most investing experts recommend you hold some bonds. You can always ditch them later. You get into your first bear market like this is easy. This is no big deal. Then sure ramp up the risk go ahead. In fact will be a great opportunity for you to buy low. [00:13:44] Second question she sent in was I’d love to hear your thoughts or even an entire episode on target date retirement funds. I have a Roth IRA with Vanguard target day fund with an expense ratio of point one five percent. I can instead put that money directly into the component individual index funds with an expense ratio of about point 0 4 percent If I use the ETF. I don’t have enough funds to purchase Admiral shares in all categories. So is this difference in fees large enough to justify the time needed to rebalance the account and adjusting asset allocation through retirement. I understand that I could choose a different asset allocation, different glide path in retirement but I don’t have any evidence based reason to think that my choice would be better than Vanguard settings for its target date funds. I don’t have any reasons either. The main problem with target retirement funds is they often aren’t available in all of their retirement accounts so you want to invest in. And so it’s like a one stop shop. It’s great if you’re on your retirement account as your Roth IRA or if your only retirement account is your 401k and a target retirement funds available in there and you just don’t want to make things complicated. It works fine. I’m not against them but it just doesn’t work for very many doctors not for very long. Maybe for a few years in the beginning of your career. It is pretty good for residents who just have one account. But beyond that it’s just not practical for most of us because we’re managing five or six different investing accounts. I don’t know if it’s worth 10 basis points or not to build your own. It really depends on how much you’re into investing. The truth of the matter is if you’re asking a question like this you probably don’t belong in a target retirement fund. This is really for people who want to avoid getting to the nitty gritty of investing and just put it on a set it and forget it kind of investment. I’ve got a great blog post up called Seven Reasons I don’t use target retirement funds and I think that’s worth perusing for anybody considering this question. [00:15:29] OK we’ve got another question from the speake pipe. Let’s play this one. [00:15:32] Hi I’m a resident who just recently got married to another resident. Our salarys are approximately 63000 dollars a year each. We don’t own a house or have any kids. Our major finances include Roth IRAs, 403Bs with no employer contributed retirement plan as well as our student loan debt that equals a total of about 500000 dollars combined. My question for you is how is it best to manage our tax filing status to maximize our public service loan forgiveness options as well as our retirement options. [00:16:12] So basically we have two residents here who owe about five hundred thousand dollars in student loans and are going for public service loan forgiveness. This is the most complicated situation you can get as far as deciding what to do with your student loans. For the vast majority of us it’s very straightforward. You do repay for your direct loans, you refinance your private loans, and then you decide whether you’re going for Public Service Loan Forgiveness as you leave residency. [00:16:36] But when you’ve got two earners and one or both thinking about going for Public Service Loan Forgiveness it can get pretty complicated. Here’s the principles to consider. With public service loan forgiveness the goal is to pay as little as possible during your training years because everything you don’t pay is money that can be forgiven down the road through public service loan forgiveness. And so the goal is to get your payments as low as possible and there’s two main things you can do to do that. The first is max out tax deferred retirement accounts. Now that’s against my usual advice for residents. Usually I tell residents to use Roth accounts. But if your goal is to maximize how much you get forgiven in public service loan forgiveness you actually want to use tax deferred accounts because that lowers the amount of income used to calculate the payments. And so that’s the first thing you can do if that’s your goal. [00:17:24] Obviously if you don’t end up going for Public Service Loan Forgiveness you’ve kind of made a mistake there because you’re using the wrong type of retirement accounts. The second thing you can do is to file taxes married filing separately. And what that does is it lowers your income once more. Now if two residents are married and have the exact same amount of student loans it’s probably fine to file jointly to be quite honest because you’re adding everything together. But if only one of you has loans and is going for public service loan forgiveness and the other one is you know a dentist or an attorney or something then it’s really going to hose you on how much you can get forgiven because your required payments during your training are going to be so high. So those are the two things you can do. You can file married filing separately and you can max out your retirement accounts but you got to be very careful with both of these things because if you don’t end up going for public service loan forgiveness or heaven forbid something happens to a public service loan forgiveness you made the wrong decision. And so there’s a lot that goes into this and anybody wrestling with these kinds of issues really ought to get professional advice on it. [00:18:25] What I generally recommend is that you go to my list of recommended student loan advisers. This is separate from my main financial advice list. These are people who specialize in telling you what to do with your student loans and that can be found under the recommended tab at Whitecoat investor dot com. [00:18:45] Next questions via e-mail. I have a question about 529 plans. I have three kids and have been saving for their college since residency. I’m one year out of residency and now ready to set up a 529 plan in my home state of Idaho because we get a state income tax break. My question is can I set up more than one 529 account for the same kid in multiple states. Can I use an Idaho 529 up to the maximum deduction then use a Utah or Nevada plan for any excess contributions. Utah and Nevada have lower fees so I would rather place the excess there. It seems like this is doable from my research but I haven’t heard of anyone doing it. I realize this doesn’t necessarily follow the Keep It Simple Stupid principle but wanted to make smart investment decisions in regards to the fees. My alternate plan will be to do a 529 plan for one kid in Idaho and the other two in Utah or Nevada. [00:19:30] Well I don’t know how the Idaho tax break works but it’s probably per child. You probably can take a certain deduction or credit per child. So that second plan is a bad one. If you put all of one kids money in Idaho and the other kids in Utah or Nevada you’re going to end up with only getting a smaller deduction than you should have got. But lots of people do this. They use their home state up to the amount that they get the deduction then they put the rest in in a plan in a better state like California or New York or Utah or Nevada or Ohio or some of these ones with rock bottom costs and good investments like Vanguard index funds. And so that’s perfectly fine to do. Even though you haven’t heard of anybody doing it. I’ve heard of lots of people doing it and there’s nothing wrong with doing that. [00:20:12] So in fact if you really want to save a lot of money in 529 accounts doing different accounts in different states is one way to get around the maximums because the maximums are set by law for that state’s plan. You get a totally separate maximum in the plan. Not necessarily how much you can contribute each year due to the gift tax laws but you get a totally separate maximum in a new state. So if you’re one of those people who wants to save half a million dollars for somebody’s college that’s a good way to do it. [00:20:42] OK. The next e-mail I’m going to talk about here on the podcast is more feedback and comments then it is question. But I think it’s important to talk about it on the podcast because I’ve got a lot of e-mails like this about a podcast I did a few weeks ago on public service loan forgiveness. [00:21:02] I addressed this a little bit in a blog post that ran a week or two later. But I think this is worthwhile talking about on the podcast because a lot of you were concerned about it. I did a podcast that talked about public service loan forgiveness as you will recall. So this listener writes and says Thanks for your website and podcasts, well not the most entertaining things I consume. They’ve been very instructive and helpful in helping me navigate the world of personal finance in the unique position of a high debt high income professional. I think that was a mixed compliment. Well sorry it’s not very entertaining. I’m not a very entertaining person but I am trying to help you. [00:21:36] OK so this comes from a subspecialist surgeon, couple of years out of fellowship. Lots of years of training. High cost of living area, plenty of debt. You know someone for whom public service loan forgiveness is a real consideration. He says this while your podcast is overall informative especially for those who may not be fully knowledgeable about the details of public service loan forgiveness. I thought it was overly reassuring. One of the primary difficulties and anxieties of those betting on public service loan forgiveness is having to deal with Fed Loan. The only loan servicing provider available to those in public service loan forgiveness. Fed Loan is frankly a nightmare to deal with after committing to an academic job coming out of fellowship I transferred all my loans to Fed Loan and submitted all necessary paperwork and waited patiently. Fast forward over a year later I have still yet to get a single confirmed payment towards public service loan forgiveness even though I’ve actually been using them now for that same period of time. I make monthly calls to them the answers are always along lines that we were still reviewing past payments etc etc. [00:22:33] Okay so he goes through all these difficulties he’s had with Fed loans and he says I’m not necessarily in title loan forgiveness. This is something that can go away. I know you will say we should have a backup plan, live a resident put away money in index fund in case it all goes to heck. This is not untrue. I’m sure you realize that most people are neither the ones with 1 million in debt buying Porsches out of residency nor the ones who moved to South Dakota rent a ten by 10 bedroom, Bike to Work, eat a strict diet of boiled beans and pay five hundred thousand dollars in one year. As you acknowledge many times personal finance is more behavioral rather than pure dollar amounts. [00:23:06] So for example if I knew I’d still be struggling to see if public service loan forgiveness would work out for me over a year out of applying I would have said forget it. No matter the obvious choice based on pure mathematics. Quite frankly I could have taken a private job I was toying with taken two years ago refinanced my loans and could have been about paid off right now. And I think it’s silly when the 2-5 percent highest earners in the country complain about money and this is obviously not the same as a struggle many other people out there have to deal with. But that certainly has a high probability to alter or delay certain major decisions in my future and in my friend’s case tens of thousands of dollars. In conclusion the Public Service Loan Forgiveness and Fed loan experience anecdotally but backed by many other stories online as well as a recent Forbes article is extremely opaque. It is not just about knowing the rules and filling out forms and furthermore the advice or feedback available to borrowers at the least uninformed in some cases like my friends misleading. People need to factor this into their decision tree. I agree. You should factor it into your decision tree. [00:24:03] But here’s the deal you know. They’re offering to forgive hundreds of thousands of dollars for some of you. Is there going to be some hassle involved. Yes. Is this a new program. Yes. Is Fed loans a nightmare to deal with. Absolutely. Are you going to get better service from a Sofi or a common bond or an earnest or a laurel road kind of lender that is refinancing your loans? Yes you’re going to get way better service from than you are from Fed loans. And so it’s always an option if you don’t think you’re going to get public service loan forgiveness, to refinancing loans and pay them off. And in fact if you’re doing as I advise to keep a side fund that is the equivalent of paying off those loans in two to five years that is always an option if you get sick of dealing with Fed loans. But I think when somebody is offering that much money I think it is reasonable to try to see it through and see what happens. I mean let’s keep track of every single payment you send in. Keep the best written records you have. Fill out your certification form and send it in every year. And make sure you keep a copy of it and keep pounding on their door. These guys are going to figure it out. It’s brand new in the last year. The first people it could ever receive this was in 2017 about a year ago. And to be quite honest for the first four or five years that this program was around nobody knew the rules. They hadn’t even published the rules. And so it’s not a big surprise that they’re still screwing around with it and still trying to figure out what’s going on. But it’s up to you if you’ve got that side fund. You can always refinance and pay them off if you just don’t believe it’s going to happen. But I think if I were in that situation if I’d done a three year residency and a three year fellowship and I owed four hundred thousand dollars. I think I’d keep working toward public service loan forgiveness. Now I would not spend all that money assuming I for sure was going to get it. But I would continue in the program if it were me. But it’s your call. Each of you has that option. [00:25:57] OK. Next question. My son graduated with honors in May 2018 with a degree in B.S. neuroscience and math. He is deciding if going to medical school and becoming a doctor is for him. He’s been working for months at a good hospital as a medical scribe to get a sense of what the day to day work life of medicine is like. That’s good. You should do that. After speaking with dozens of attendings and residents he says he is disinclined to go to medical school because the costs. 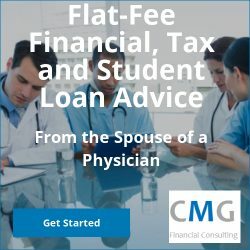 The doctors constantly complain of the debt load they have and the uncertainty of the future of the medical system to provide the income needed to pay it off and make a good living. We discussed several ways to fund medical education. One is the military route you did. But I’m not sure of them. My son is smart, has interpersonal and empathies skills are off the charts, and he’s a problem solver who loves to research and find answers who would make an excellent physician. He admitted that if he wasn’t intimidated by the financial debt he would seriously consider it. Note he has little undergraduate debt only 15000 due to our funding his degree, scholarships, and working through school. 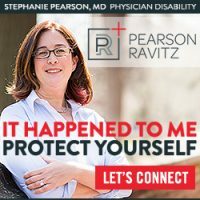 I’d appreciate any perspective you or others can share on the value of becoming a doctor today for the investment and ways to pay for his education. [00:26:59] Well number one I think medicine is still a good deal and I’m comparing that to some things that I don’t think are a very good deal like veterinary school. It’s not a good deal. I’m sorry it costs too much for what vets get paid something like law right now. You’re not even sure you’re going to have a job. You rack up a hundred fifty thousand, two hundred thousand dollars in debt and maybe you can’t even get a job and if you do it probably pays 50000. That’s not a good bet. You know you’ve really taken a chance when you go to school and borrow to pay for it for programs like that. But medicine. Yeah the average doc with the average medical school debt burden is still fine. Yes she has to live like a resident for a couple of years after residency in order to pay that stuff off but it’s totally doable with the appropriate financial planning. [00:27:47] Now some docs that are at the lower end of the income spectrum and the higher end of the debt spectrum are going to be in trouble. Right. If you’re and I hate to use pediatrician again because I get hate mail every time I say pediatricians, so I’m going to say family practitioner today who’s making 150 thousand dollars and you owe 650000 dollars in student loans. You’ve got a very tough row to hoe. Okay that might not work out well but on the opposite side of the spectrum someone who was seventy five thousand dollars and is an orthopedist, back surgeon you know and is just killing it. And so there’s people like that all across the spectrum of medicine as long as you don’t end up at the wrong end there income and debt wise I think you’re still OK going to medical school. That said if you know a good paying job is your main motivation of medicine there is a lot better ways to make a lot of money with a lot less effort. [00:28:41] All right. The only other question was how to pay for it. Well it doesn’t sound like dad’s going to be paying. So I think he’s going to be on his own. So I mean either sign a contract with somebody like the U.S. military or means to borrow the money. And for most of us we borrow the money. I happened to sign four years of my life away with Uncle Sam. And that worked out OK for me because I wanted to spend some time in the military. I actually ended up coming out financially behind though. And so my recommendation is always go into the military because you want to be a military doc. I knew a lot of docs who did it for the money in the military and they weren’t happy so please don’t join the military unless you want to be a military doc. [00:29:23] All right. Last question today. My name is Mark. I’m a nurse anesthetist at Hopkins. We’re in the process of buying a home. I really battled my brain whether to a 15 year or 30 year mortgage. I really loved the idea of 15 year not paying almost double for the home and interest however my brother who is much more number savvy than I suggests that doesn’t make any sense to pay down a mortgage when you can invest that same amount each month to make substantially more in the market. Well it’s the classic invest versus pay down debt question just applied to a mortgage. Personally when I look at a debt like a mortgage I go how long do I want to have this debt? And I don’t take out a loan longer than that period of time. In my case I didn’t want to have a mortgage debt for longer than 15 years. And so we took out a 15 year mortgage. There are some advantages to that. One it forces you to save i.e. pay off the debt sooner. And two you get a lot better interest rate. And so we enjoyed a very low interest rate for the seven years until we paid off that mortgage and so I’m a big fan of a 15 year mortgage. Who really wants to owe money to anybody for 30 years for anything. Three decades of your life?? I mean that might be almost half your life. I just don’t think that’s a great idea and if you don’t have to do that don’t do it. You know I mean that’s what it comes down to. That said if you run the math out. You know borrowing money at low interest rates and investing it in good investments for the long term you will probably come out ahead. The problem is most of us don’t invest it we just spend it. So end up with a 30 year mortgage and without the investments and so behaviorally it’s pretty difficult to do that for some reason. [00:30:54] All right. 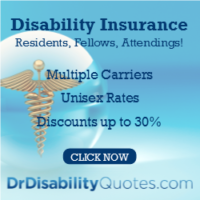 Make sure you check out a recommended insurance agents for your disability and insurance and term life insurance needs. And thanks for listening to the podcast today. 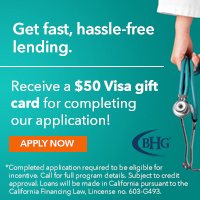 Our sponsored today Splash Financial is proud to partner with WCI to help you save thousands when refinancing your medical school loans. Splash Financial partners with banks and credit unions to negotiate market leading rates on your behalf. Refinancing with Splash Financial will simplify your loans and could lower your monthly payments helping you achieve your financial goals. Our fast and easy online application allows you to check your rate in under three minutes and apply with no application, origination, or prepayment fees. Our U.S. based concierge customer service teams available every step of the way be a call or text. WCI readers receive a 2000 dollar bonus when they successfully refinance over 200000 loans, a 1000 bonus for loans over 100000, or 500 dollar bonus for loans over 50000. 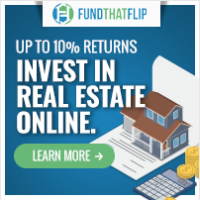 Go to White Coat investor dot com slash splash financial to learn more. [00:31:52] Head up shoulders back. You’ve got this and we can help. We’ll see you next time on the podcast. [00:31:57] My dad your host Dr. Dahle is a practicing Emergency Physician, blogger, author, and podcasters. He’s not a licensed accountant, attorney, or financial advisor. So this podcast is for your entertainment and information only and should not be considered official, personalized financial advice. Asset Location - Bonds Go In Taxable! Your point of 15 yr vs 30 yr mortgage is spot on.. If you can’t afford the home you buy based on 15 yr mortgage monthly payments then that is a great sign that you are buying too much house and will be house poor. And if you do it to try and arbitrage the difference in monthly payments between the 15 and 30 yr mortgages that rarely turns out the way you plan because as you said most people will spend the difference rather than invest. I don’t think so, but consult with an estate planning attorney in your state if this is a critical question for your plan. Just wanted to chime in here. I had a lot of the same considerations the hospital scribe did prior to vet school including the ones you raise. I decided the only way vet school could be “worth it” is if I got into my in state school. I only applied to the one school, but luckily got accepted. I graduated with “only” 95k debt in 2013, just paid off my loans. I actually make about 140-150k a year which from your site is close to what some family docs make. My brother is finishing his residency, went to an island school, has insane loans and is going into family medicine, so I think I got the better deal. Especially considering I dont deal with insurance companies and I get to see really cute puppies a few times a day 🙂 However there is no way I would be happy if I had >200k worth of loans. I work as a hospitalist: about 18 days a month and have paid off >$ 275k in student loans already. I almost have no other expenses. But have to correct the income potential: one can easily make ~$400k working as a hospitalist/family med. Now with mortgage rates in the mid 4s and the cap on SALT I get no tax deduction. Paying off a mortgage at 4.375% is a guaranteed return that I cannot pass up. Could I have more money if I invest in the stocks? Of course, but I could also have less. You’re right, not a great phrase to use when discussing doctors! This is NOT an ad or an endorsement for this company. The Idaho 529 deduction is total per tax filed not based on the number of accounts. $6k individual, $12k married filing joint. One comment on the 30 vs 15 year mortgage. Bankrate com shows the APR split is roughly .8% IOW, 30 yr average is about 4.9 and 15 yr average is about 4.1. As always, YMMV. One of the advantages of going for the 30 year loan is the flexibility it provides. If you really look at the numbers, making the same payment on your 30 year mortgage as you would on the 15 results in only slightly greater interest totals and a payoff in 15 years as well. But you retain the flexibility to slow things down should your cashflow take a hit. And a refinance to a longer term just might not be an option at that hypothetical somewhen down the road. Of course, that would also require the discipline to actually Pay more than what the bank tells you to pay, hopes you’ll pay. Just as they’d really prefer you to just make the min payment on a credit card versus paying it in full each month. There are many good reasons to use a trust as beneficiary of retirement accounts. They provide asset protection for your heirs. They keep the assets out of your heirs’ estates, which can save a fortune in state and federal estate taxes. If you die before your heirs are responsible adults capable of handling the money, having a trustee in charge can protect heirs from themselves while they continue to grow up. Most of those questions would be addressed by the estate planning attorney while setting up the trust. 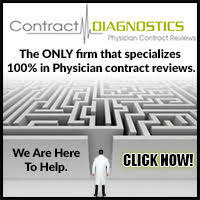 The trusts have to be carefully drafted to comply with IRS regulations. This is more complicated than a simple will and many attorneys who can do the simple stuff cannot do these trusts. There is little point in doing a conduit trust. They provide only minimal advantages over leaving the money to heirs outright. The tax consequences are often mischracterized and exaggerated. You have to compare the rate at which income would be taxed if left in the trust to the rate if it were distributed to the beneficiary. If the beneficiary is in a high tax bracket then it can save some taxes to leave at least some of the income in the trust. If the beneficiary is in the top tax bracket then it always saves money to leave all the income in the trust. 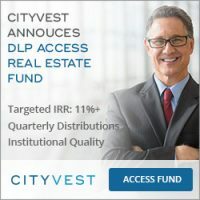 Nearly all CFPs are actually asset managers, and no wonder-- it pays more...Many [financial planners] dispense with the financial plan altogether, which is just a loss leader as far as they are concerned.